The photographic history of New Hampshire's last great frontier, as compiled by Donna Jordan. A superb new collection of essays celebrating the Northeast's wildest places. A decent used copy of Peter Marchand's excellent guide to the nature of the forests of the Northeast. A recent reprint edition of this classic gardening book originally published in 1901. 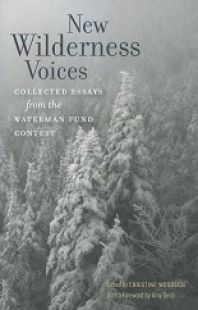 A unique compilation of 40 essays bearing witness to the central role of wilderness as it pertains to Maine. Now on sale! 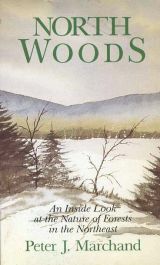 Used copy of this interesting natural history guide to places of interest in New Hampshire's Mount Washington Valley. A compact new, easy-to-carry guide to the Appalachian Mountain Club's string of eight backcountry huts in New Hampshire's White Mountains. The complete hiker's guide and map to the bedrock geology of the Presidential Range. The sweeping biography of environmentalist Rachel Carson. 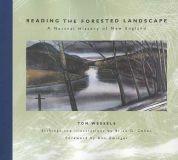 A full and wholly original portrait of New England's forests, tracing their evolution from precolonial times to the present. A thought-provoking collection of four essays that debate the merits of returning the wolf to the northeastern United States. 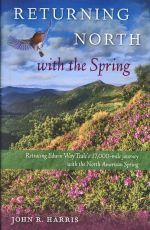 New Hampshire author John Harris retraces the 1947 springtime journey of Pulitzer Prize-winning naturalist Edwin Way Teale in this fascinating travel memoir. 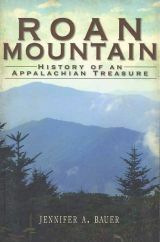 A well-writeen and well-researched natural and human history of this 6,285-foot mountain in eastern Tennessee. 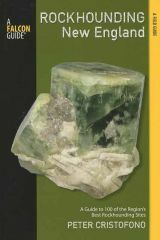 A great new guide to 100 of the best mineral collecting sites in the six-state New England region. A handy pocket-size field guide to the signs of 70 wildlife species found in the northeastern United States. 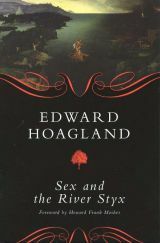 A great new collection of essays from acclaimed writer Edward Hoagland.